I wish it was Wednesday, not Thursday..
“We want all Mujahideens held in India released and only after that we will release the people.”, the terrorists demanded. 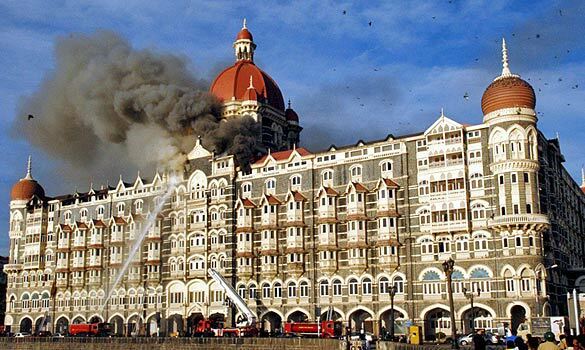 The people responsible have identified themselves as representing a group called Deccan Mujahedeen. Why are our terrorism laws so weak and meek? Is vote bank politics so strong that our politicians just don’t care about our nation? Every big politician is busy making monies, but where is he going to spend it if the country is so insecure? Can he enjoy spending all the ill wealth collected in the midst of Z-class security personnel? It is high time the judiciary gets involved and questions the government on the terrorism laws. POTA or no POTA, we want laws that will protect the innocent. We really don’t care if the politicians are at the receiving end from these insane terrorists. A terrorist told a TV channel “”Muslims in India should not be persecuted. We love this as our country but when our mothers and sisters were being killed, where was everybody?” These elements are unnecessarily spoiling the future of Muslims in this country. It is high time the religious leaders unite and give direction to the youth. Government needs to spend on education programs instead of sympathizing with minority communities. Teach them to be on their own instead of feeding them for the sake of vote bank politics. Yes, in the movie, the Common Man says, ” Ghar ko safai kar rahi hun, if there is a cockroach, I will remove it” . We all, together need to clean our own nation, our surroundings.